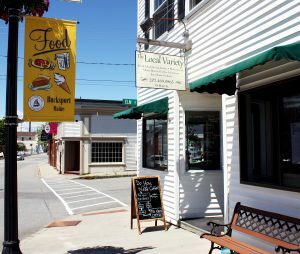 The Local Variety is located in the heart of downtown Bucksport, a former mill town with new energy and life. When the current owners decided to put the business up for sale, Jessica Carter jumped at the opportunity to own this downtown café in the town that she loves. 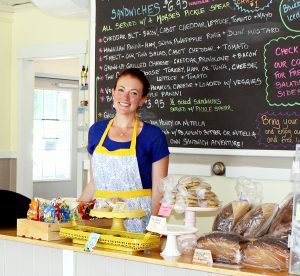 Although she had little experience in the restaurant industry, she had a vision for the store and sought out Maine SBDC Business Advisor Betty Egner for help turning that dream into reality. Egner and Carter worked together on her business plan, financials and marketing. Within two months’ time, Carter finished her business plan and received the loan she needed to purchase the business. Just before reopening the store, Carter spent a week rapidly updating and renovating the space, making this the perfect breakfast or lunch destination, as well as making the top floor (with waterfront views) an ideal location for small events or meetings. 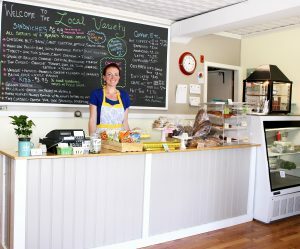 The Local Variety offers fresh salads, sandwiches, baked goods and Maine roasted coffee. They work with local farms and crafters to sell local farm products, natural body care items and handmade gifts. You can find them, along with drool-worthy photographs of their daily specials, on Facebook.